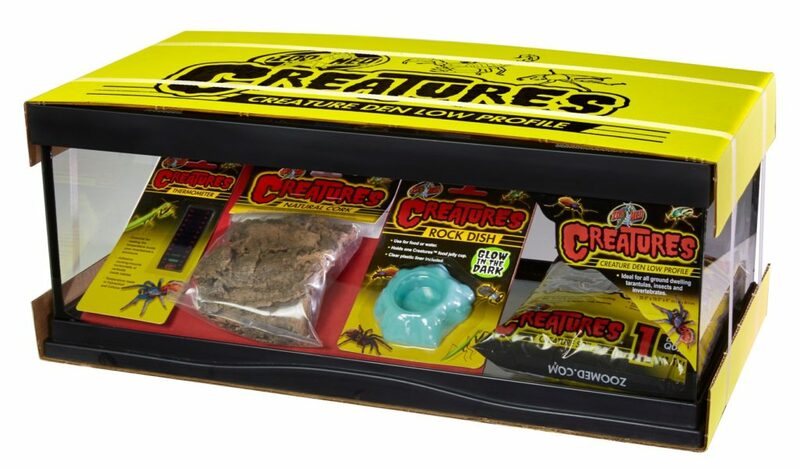 Creatures™ Creature Den Low Profile | Zoo Med Laboratories, Inc.
Start your creepy-crawlies right with the Zoo Med Creature Den Low Profile Starter Kit. Includes thermometers, décor, substrates, and an exclusive low-profile glass terrarium. Ideal for a variety of ground-dwelling Tarantulas, Insects, and other Invertebrate species.